100% airlume combed and ringspun cotton tee. 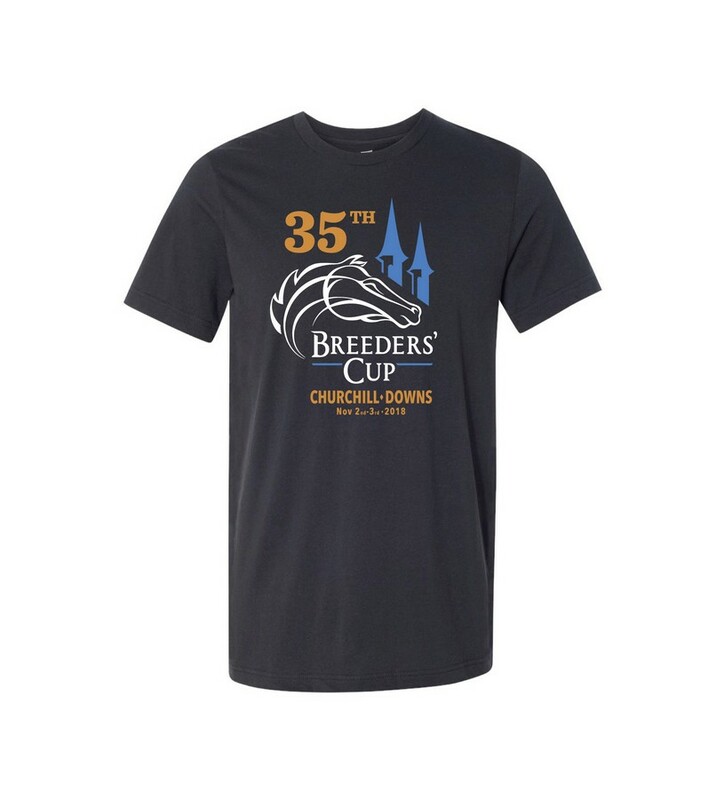 Printed with the official Churchill Downs logo for the 35th running of the Breeders' Cup in November 2018. Available in dark gray, team purple, or white in unisex sizes S-XXL.